Microsoft is doing quite well. With just two months into the launch of its Windows Phone 7, Vice President of Business and Marketing for Windows Phones Achim Berg, in a press release said that phone manufacturers had sold more than 1.5 million Windows Phone 7 handsets. Although it is unclear as to how many handsets have made it into users’ hands and not just sold to cellular networks. 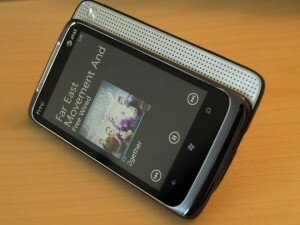 But one thing is clear that the phone networks and OEMs are fully supporting Windows Phone 7. For a brand new platform, the numbers are pretty impressive. Exact sale comparision between iPhone, Android and Windows Phone 7 is harder to do due to difference in sales models. Apple took 74 days to sell its first million iPhones, and T-Mobile in the US took about six months to sell one million Android-powered G1s. Not just that but Windows Phone 7 application marketplace has gotten off to a very strong start. In two months of its openings, the marketplace has more than 4,000 applications. While Android took five months to reach 2,300 applications and the iPhone App Store didn’t grow this quickly.